Temporary relief might be given by a good discourse with dogs and in some cases even cats. 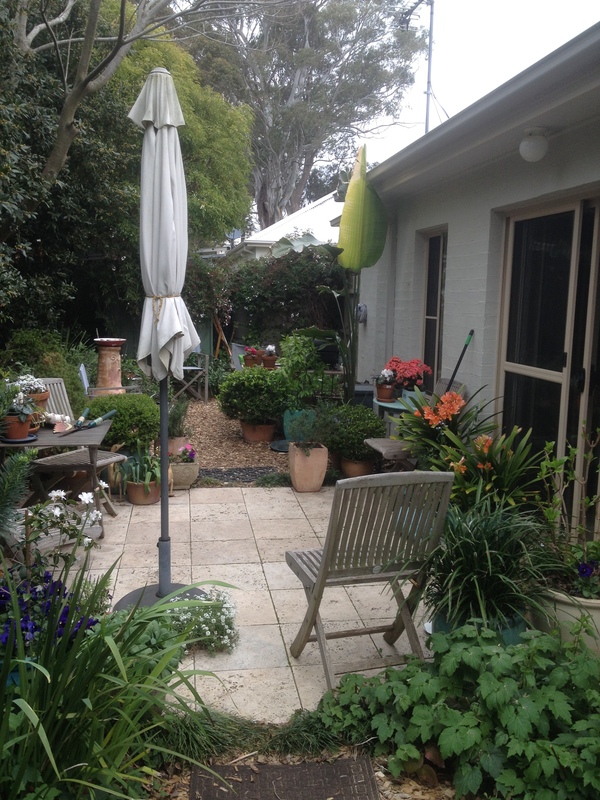 But a good garden is for most cases the only way to regain composure and the soul becalmed. Some peace has returned in our living compound and Body Corporate front. No more thefts but we did notice the instigator of all the turmoil, the Chairperson, talking to the gardener. She was waving her arms about, perhaps in support of more residential parking embargos. 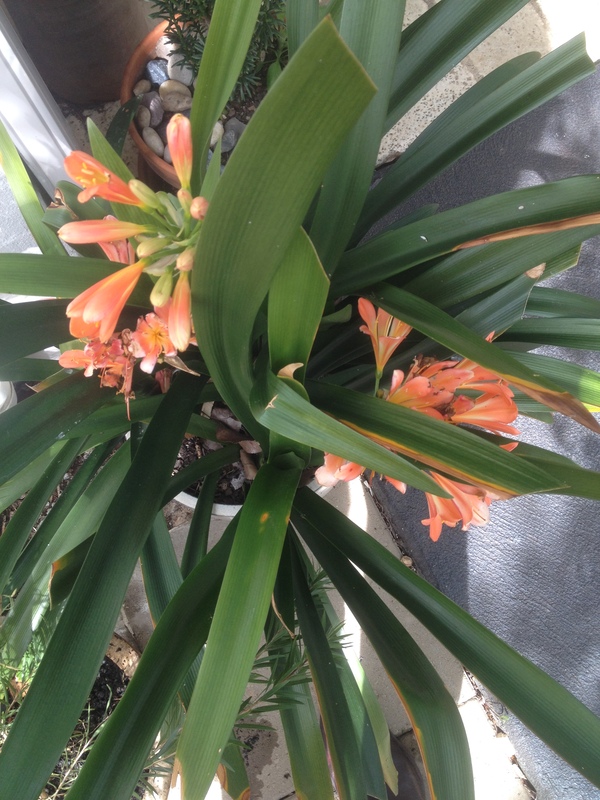 Who knows and is it important compared with the beauty of our flowering Clivias? A lovely silence since. The little sparrows are twittering about in anticipation of some breadcrumbs. The local Council has put posters up on telegraph poles warning people of diving magpie birds. Some children are wearing helmets with large angry faces painted on the back of them. Some adults look angry enough and don’t need helmets. Many also swing branches about or umbrellas. Life is not dull if you know and are perceptive to the things that might go around you. This is why an outing to shops can just be as exciting as going to the opera. It doesn’t necessarily have to involve shopping or buying things. Nor does going to the opera needs music to be heard in exclusion to other sensational things. In my case, it is my hearing impairment, whereby I have to improvise and make sense of whatever else is going on. This sense at times might have to move away from the auditory factor. In fact, with imagination and some deft improvisation one could say, all around us is opera. Opera is a dramatic work in which music plays some role but not all. Thinking of some of Gustave Mahler’s music I am right now hearing his famous Adagietto from Symphony no.5 and it sounds as beautiful as when I had my full hearing. That is not to say, hearing the music played live would not be even better, especially with a nicely dressed audience within the splendour of the Wiener Staatsoper. When it came to my turn, the previous shopper presented me with a mauve coloured walking stick. ‘Is this yours’, he asked? ‘No, not mine,’ I replied. It was one of those walking aids that had a four pronged foot at the end of it. I suppose it gives greater balance and security to those not so confidently fleet footed! Now, what the drama or opera of this story is that it begs understanding and a great deal of musings, on how someone in need of this special walking aid could leave the shop, continue his/her normal live ( the mauve colour might indicate a female, but ….?) and be unaware he/she lost a vital piece of medical equipment. Did his disability miraculously got cured after paying the cashier? Did he /she walk out risen from the near lame? A more cynical person might well surmise it could be a case of someone claiming an invalid parking license, giving it convenient parking spot permits near shops. Now, this story goes a full turn. The Chairperson, responsible for the mayhem about non problem parking issues is pretty good footed, but…I did notice she has now a disability sticker on her car.